To find your ward location and polling place, visit www.villageofshorewood.org. 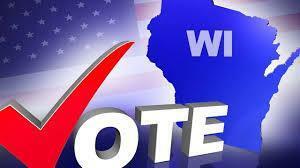 District residents can find additional information on voting by visiting My Vote Wisconsin at www.myvote.wi.gov. Please note that a photo ID is required to vote in Wisconsin. Shall the School District of Shorewood, Milwaukee County, Wisconsin, be authorized to issue pursuant to Chapter 67 of the Wisconsin Statutes, general obligation bonds in an amount not to exceed $65,000,000 for the public purpose of paying the cost of a District-wide facility improvement program consisting of: infrastructure and building systems projects at all four schools, including improved safety and security, and ADA accessibility upgrades; renovations, expansion and updates of instructional areas at the High School Main Academic Building; targeted renovations at Lake Bluff and Atwater Elementary Schools; and the acquisition of related equipment? Shall the School District of Shorewood, Milwaukee County, Wisconsin, be authorized to exceed the revenue limit specified in Section 121.91, Wisconsin Statutes, by $275,000 beginning with the 2019-2020 school year, for recurring purposes consisting of ongoing District-wide facility maintenance costs? More information and resources about the facilities referendum questions are available on the District website at www.shorewood.k12.wi.us/referendum/.